Activities are the Center of Life at Cedar Hill! 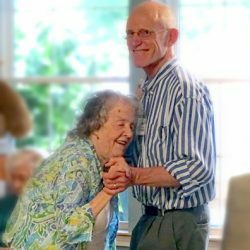 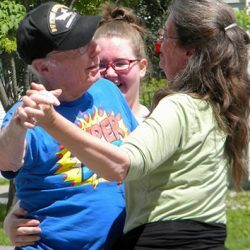 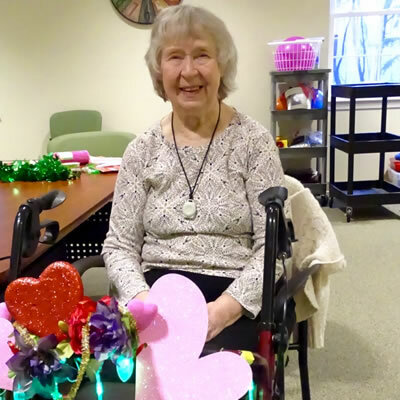 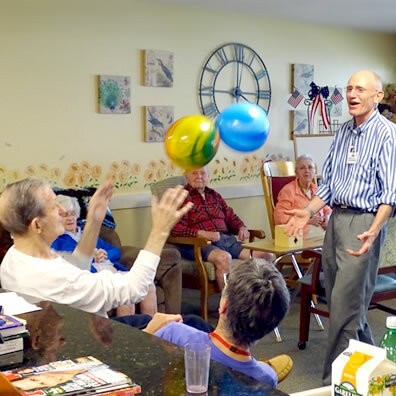 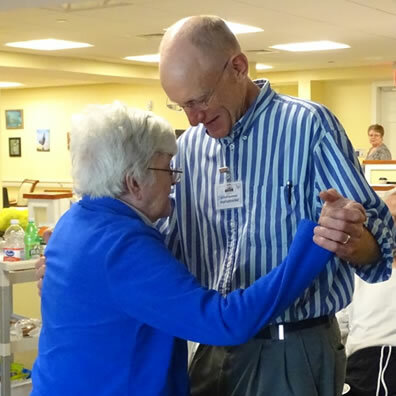 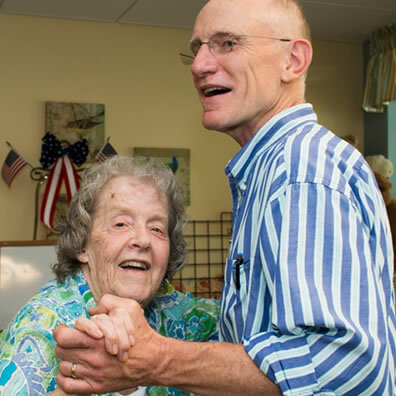 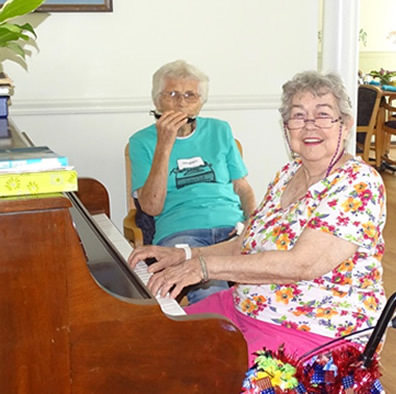 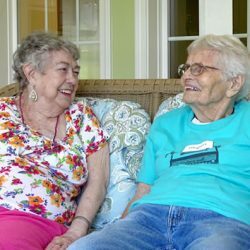 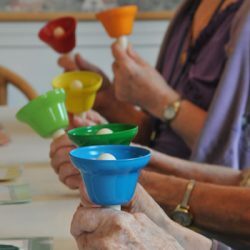 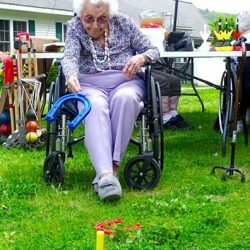 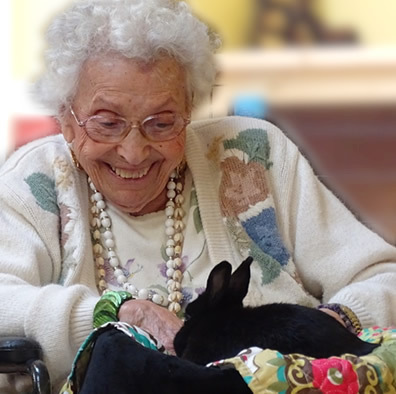 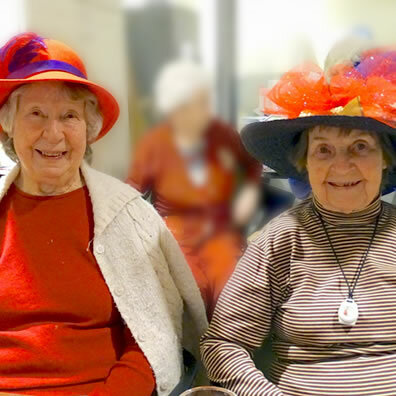 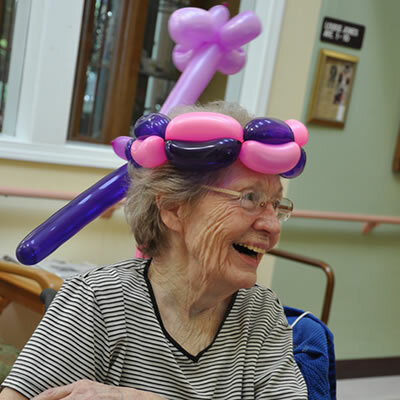 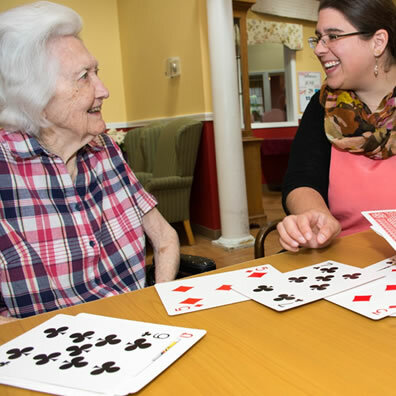 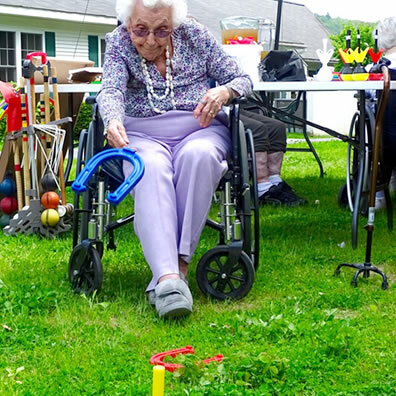 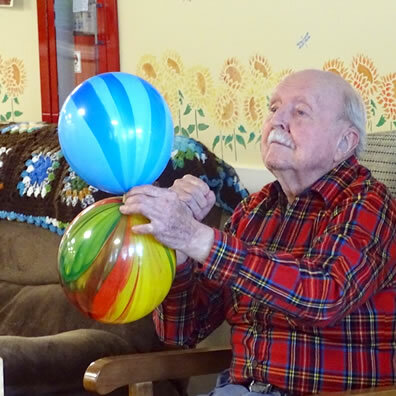 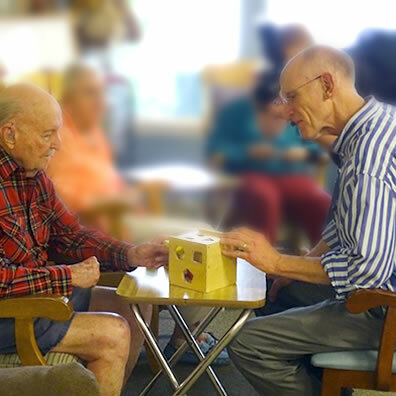 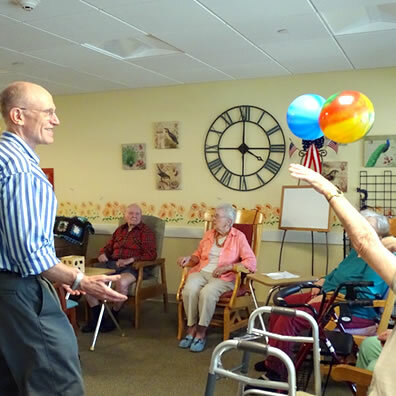 There’s no shortage of social activities for our residents, no matter which neighborhood they choose. We make social events and activities a priority, and offer a wide range of ways to keep residents engaged with others in the community. 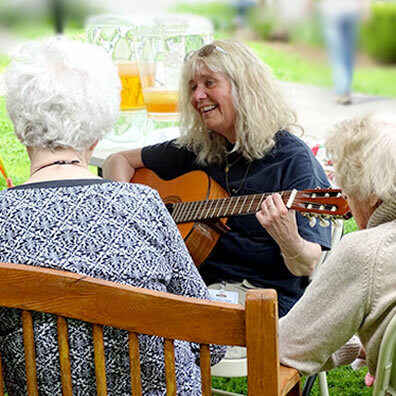 When you move to Cedar Hill, you will join a dynamic community filled with individuals who are eager to share their life’s interests and experiences. 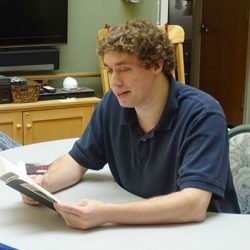 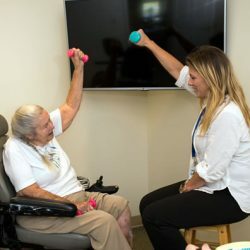 Our Activities Director will spend time getting to know you and assisting you in choosing activities that are suited to your interests and needs. 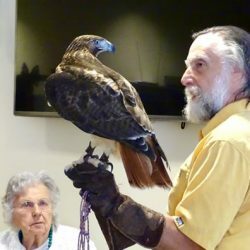 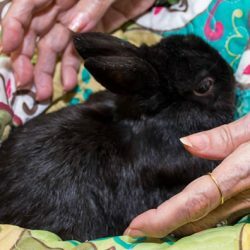 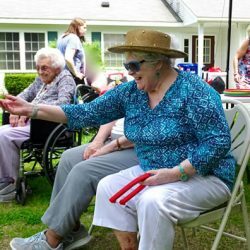 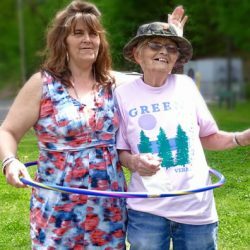 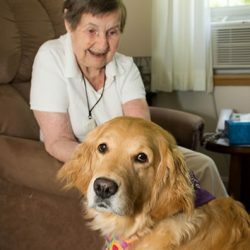 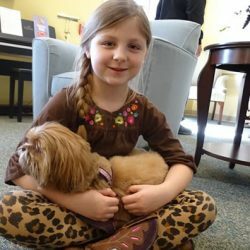 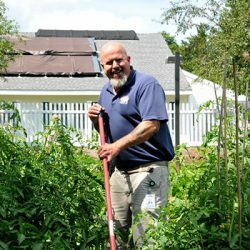 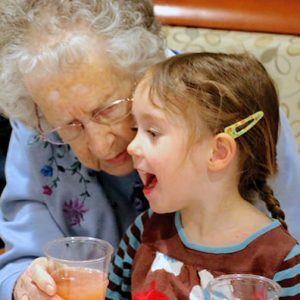 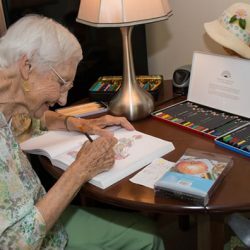 With programs ranging from musical performances, lectures, gardening, fitness and wellness, arts and crafts, and intergenerational opportunities, to just pure fun and games, your days will be full of new and familiar experiences. Families are encouraged to visit often, and are usually welcome to join in on the scheduled social events and activities. 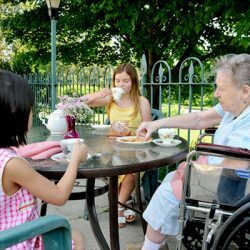 Or, your loved ones can join you for dinner to socialize with you and the other residents. 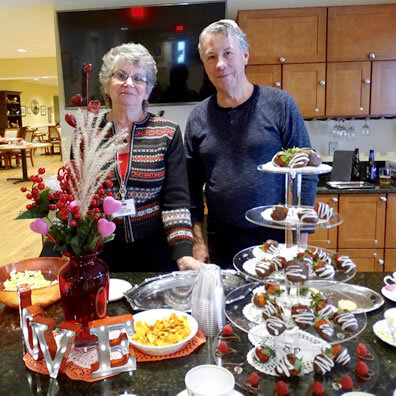 We have several events throughout the year that are designed just for families – Our Easter and Mother’s Day Brunches; Father’s Day Antique Car and Tractor Show; Annual Summer Family Picnic; Thanksgiving Dinner; Holiday Open House; and Christmas Day Dinner just to name a few. 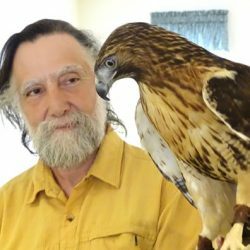 We also schedule interesting activities and fundraisers like Craft Fairs, Books Fairs, and even an Antique Appraisal Fair! 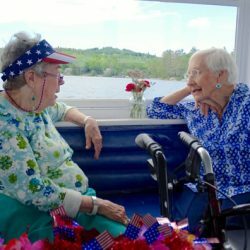 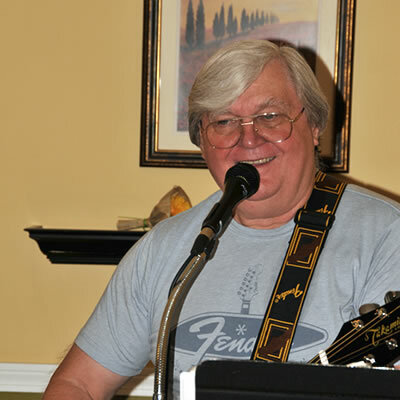 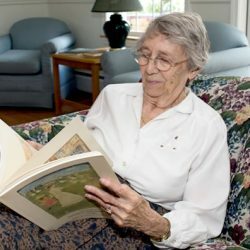 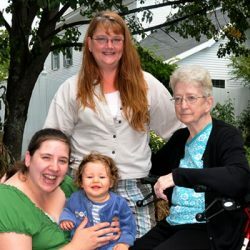 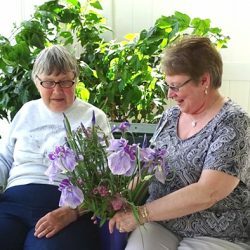 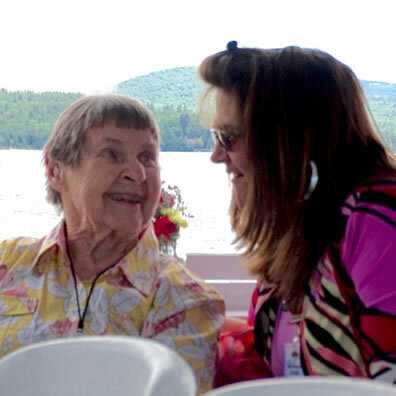 We offer frequent excursions – weekly shopping trips in town or to exercise in the pool at a nearby resort; monthly lunches out at local restaurants; summer boat cruises on Lake Sunapee; leaf-peeping drives to enjoy the autumn beauty of Vermont and New Hampshire; visits to local historic sites and museums; Christmas shopping in December. We pride ourselves on the variety of comfortable common areas for activities for fitness and socializing, including outdoor gardens and terraces. Our senior apartments and common areas are designed to suit every interest. 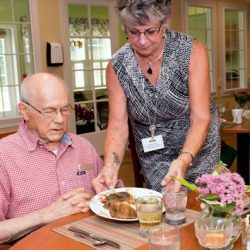 The dining rooms and cafe offer a home-like atmosphere, and fresh, local food. The cozy living rooms all have fireplaces and offer a comfortable setting to relax with new friends, play piano, or just read the paper. 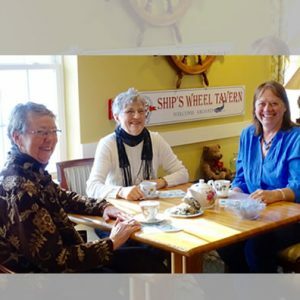 “The Ship’s Wheel” is our intimate Village pub which features prints of beautiful old cruise ships and is the perfect spot for refreshments and a good conversation at our daily social hour. 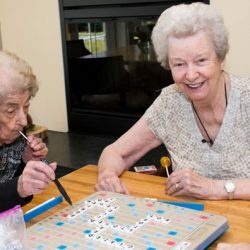 While there, you can join in a game of Scrabble or cards. 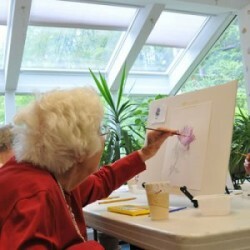 Our large Activity Room is a great place for art classes, cards, games, and crafts, and is where we also hold weekly movies, entertainment, and informational seminars. You can also enjoy getting a good workout in our Fitness Center, which offers exercise and wellness classes. 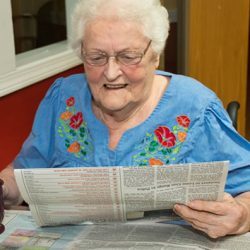 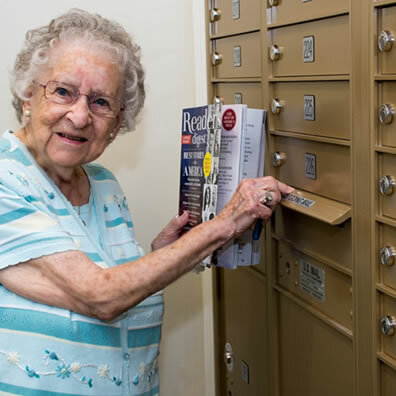 The Library/Computer Center is well-stocked with books, magazines, and newspapers to suit every interest here at our assisted living facility. 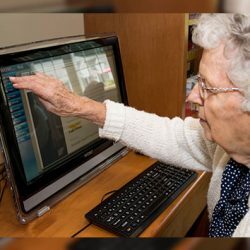 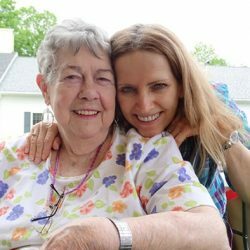 We provide access to several specially equipped senior-friendly touchscreen public computers where you can surf the web, check Facebook or send emails. 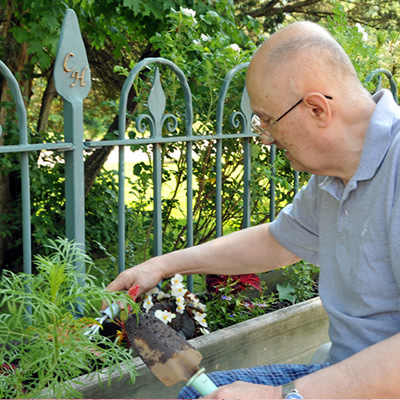 Our Greenhouse/Art Room is a fun place for gardening and creativity, or visit our quiet chapel for spiritual needs. 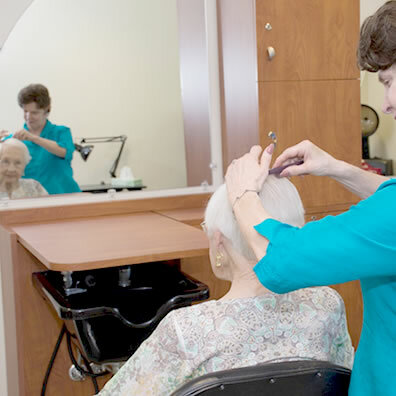 We even have salons in each of our neighborhoods for shampoos, haircuts, and facials. Cedar Hill encourages all our residents to take a proactive approach to staying healthy and fit. 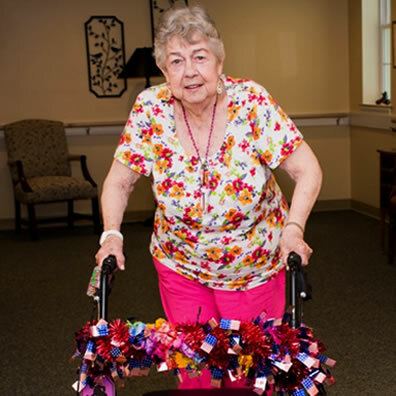 Residents may participate in our exercise, stretching and yoga classes or use our fitness center. 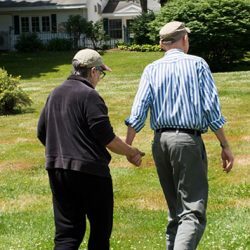 Many residents enjoy our new balance program, strolling our garden paths and grounds, or other activities to keep fit. 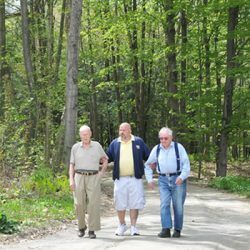 We even partner with area facilities for swimming and provide group transportation. 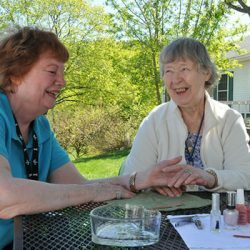 For those who may need some extra care, or help with arthritis or other chronic conditions, we offer massage, therapeutic services, and we have a dedicated exam room on-site for medical exams. 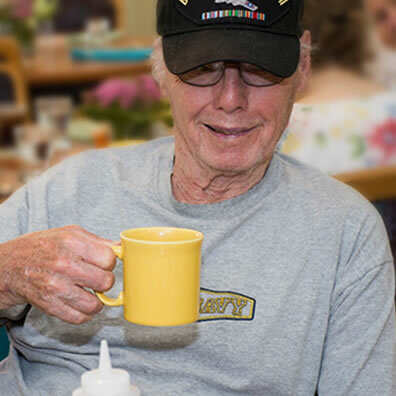 Our chefs create delicious, well-balanced, home-cooked meals. 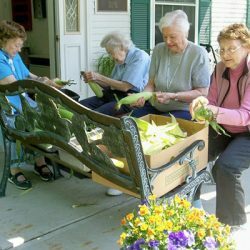 There is an emphasis on using fresh, local ingredients and serving tempting dishes with plenty of nutrition. 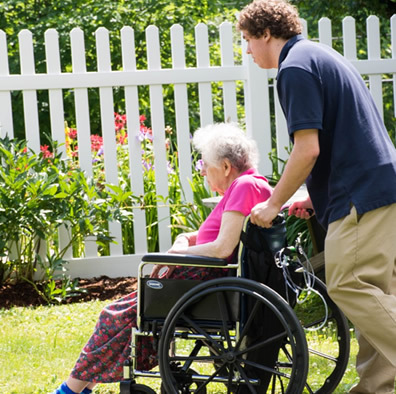 Of course, special dietary needs are provided for as well and we offer diabetic options. 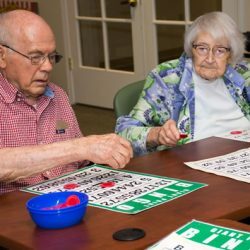 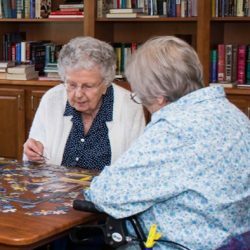 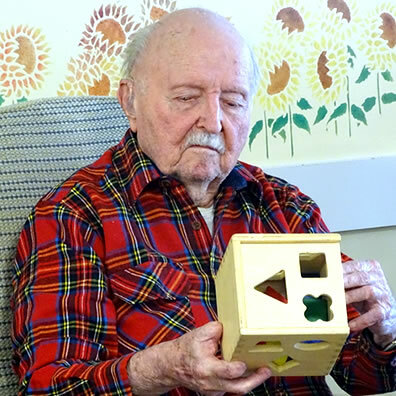 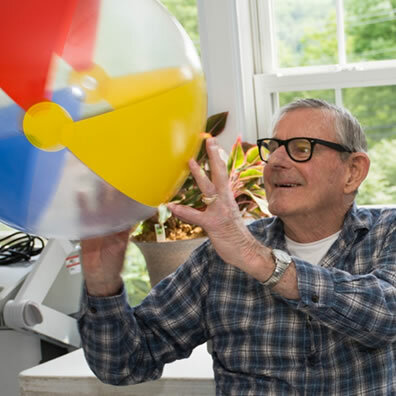 Our dedicated Memory Care unit offers secure activity areas where residents congregate for meals, activities and socializing. 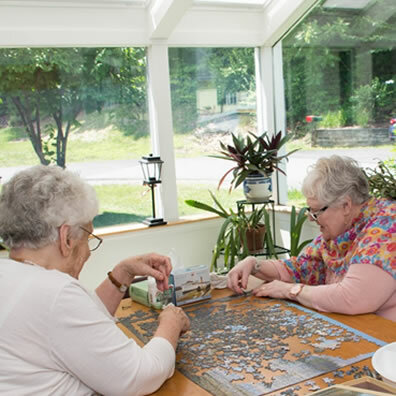 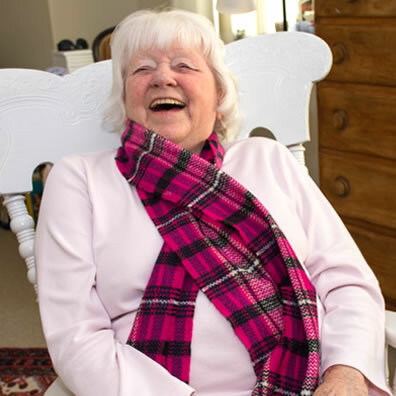 Residents enjoy fresh, home-cooked meals in our warm Country Kitchen or Dining Room. Friends and family visit in our comfortable TV Room. 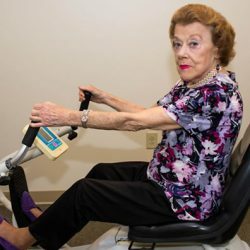 The large activity room offers residents a bright, sunny area for activities, which are designed to engage and stimulate residents with cognitive/memory issues, and plenty of space for walking and exercise. 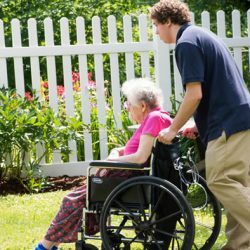 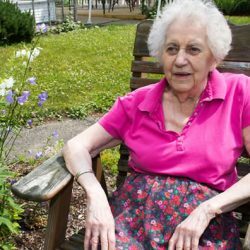 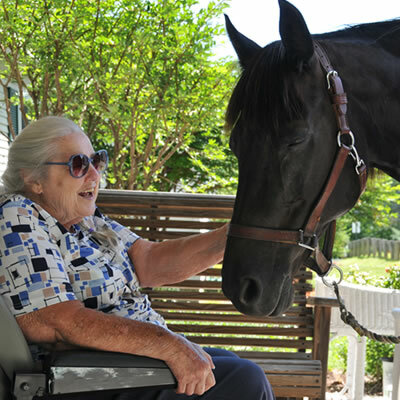 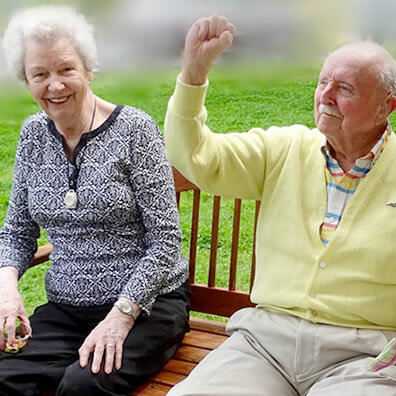 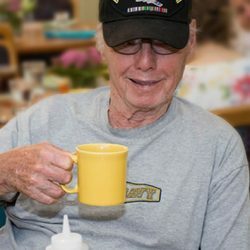 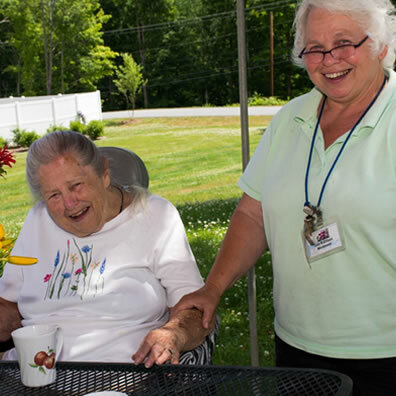 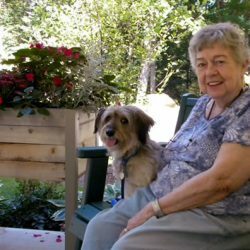 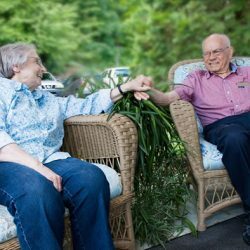 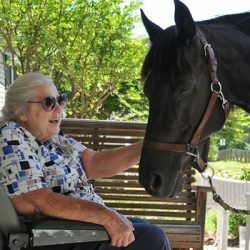 Outside of our Memory Care Center is a secure Porch and Garden area, and we encourage memory care residents to enjoy the outdoors whenever possible.